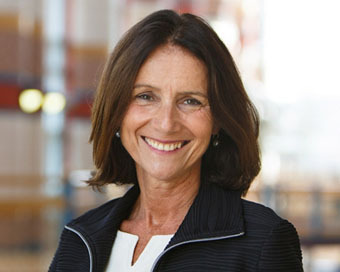 The Confederation of British Industry (CBI) announced that Carolyn Fairbairn is to become its new Director-General, taking the helm at the UK’s biggest business group later this year. An experienced business leader and former Director of Strategy at both the BBC and ITV, Carolyn currently holds a number of non-executive positions. These include with global outsourcer Capita, small cap manufacturer Vitec, Lloyds Banking Group, the Competition and Markets Authority and the UK Statistics Authority. Carolyn has enjoyed a varied career spanning strategy, economics, policy making, management consultancy and journalism. She plans to step down from all her current non-executive directorships when she takes up her role at the CBI, apart from remaining a trustee of the charity Marie Curie. Carolyn will take over from John Cridland, who has led the CBI since January 2011, in November. The recruitment process for the new Director-General was led by current CBI President Sir Mike Rake and conducted by executive search firm Odgers Berndtson. Carolyn was selected by a committee of the CBI Board from a long list of 46 candidates and a final shortlist of six before being endorsed by the CBI’s Chairmen’s Committee. She will work closely with CBI President-Designate Paul Drechsler in ensuring the interests of British businesses of all sizes across the UK are represented in Whitehall, Brussels and internationally.